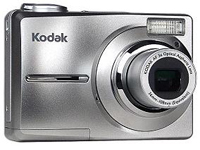 Kodak EasyShare C713 Zoom Digital Camera Software and Drivers, Share Button App and Firmware for Operating Systems. This firmware version improves the LCD appearance when the camera is turned on. , and filed under Digital Camera and tagged c713, camera, download, easyshare, kodak, kodak c713 driver, kodak c713 firmware, kodak c713 software.